To say my oldest son is a super hero fan is an understatement. He is obsessed! He constantly wants to dress like one, act like one, play with super hero toys, and of course he was one for Halloween too! When I told him we received a super hero DVD for review called VeggieTales: The League of Incredible Vegetables he couldn’t wait to pop the disc in the DVD player! We have a lot of VeggieTales DVDs in our collection. The movies and stories are wholesome and heartwarming, and I don’t have to worry about bad words, violence or scary scenes that might frighten my boys. VeggieTales was created by Phil Vischer and Mike Nawrocki whose aim was to produce children’s videos which conveyed Christian moral themes and taught Biblical values and lessons. The great thing about the VeggieTales videos is that the stories bring ancient stories into recent times, and the humor is based on current pop culture (so not only do my kids think it’s funny, but my husband and I get a kick out of the DVDs too!). The League of Incredible Vegetables is a movie to help kids learn to handle their fears. The veggies assemble to try to defeat the villain Dr. Flurry, who wants to freeze the entire city of Bumblyburg in fear, and in the process they learn to conquer their own fears to help save the city. It really is a cute story, with great music that really speaks to young minds. Not only did my four-year-old enjoy this movie, but my 20-month-old did as well. We brought this DVD with us on our recent holiday travels and both boys insisted on watching it over and over in the car. 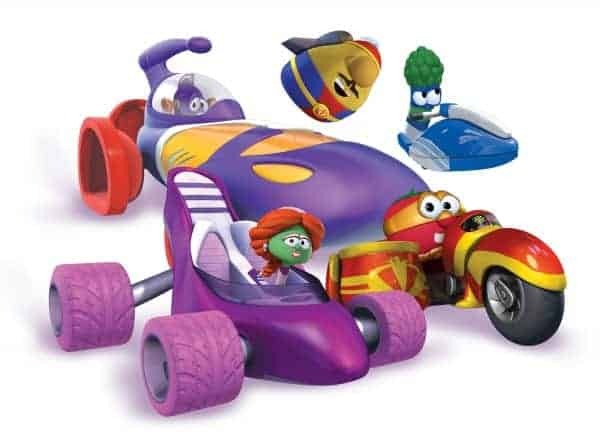 The movie runs approximately 50 minutes and can be ordered for the special price of $8.99 on the VeggieTales web store. To learn more about VeggieTales, visit their website. While there you can also download free VeggieTales activities. I also like their Pirate movie. I would like the Veggie Slushie Bath Toy. My son would love Minnesota Cuke and the Search for Samson’s Hairbrush. I would like the VeggieTales Singalong CD Player. I like the VeggieTales Nativity Playset. I also like their coloring scrolls. I like The Wonderful Wizard of Ha’s VeggieTales DVD. 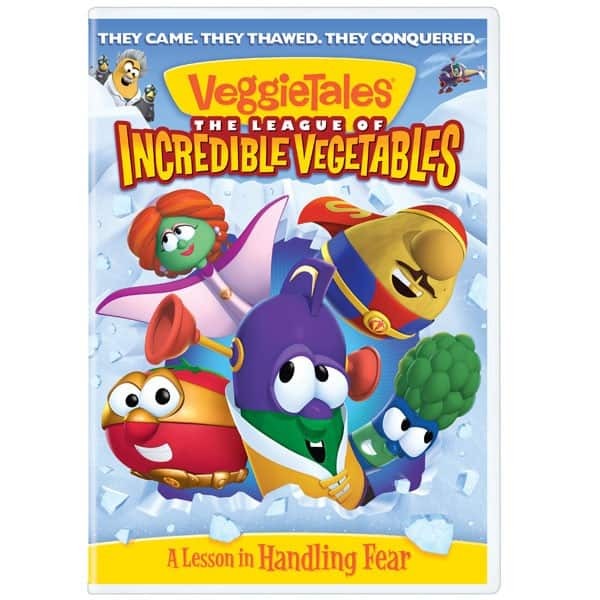 My daughter would like this VeggieTales Christmas Holiday 2 DVD & 2 CD Pack. She enjoys Larry’s Santa song. I would love to have the Veggie Tales nativity! My children enjoyed veggie tales as little ones.